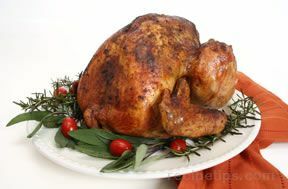 Rub mashed garlic all over turkey. Rub salt and pepper on turkey. Then pour sour oranges(about 10) over the turkey. Roast in 250 degree F. oven. Cook slowly, You can also cook in slow cooker. Works good with chicken also. Make sure you use turkey baster to pour sour oranges over turkey during cooking time. 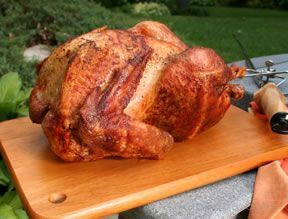 5 easy steps to melt in your mouth turkey.